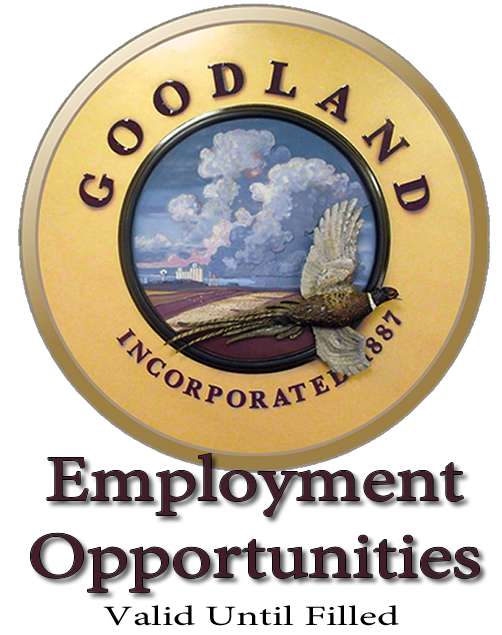 The City of Goodland is accepting applications for Public Works Laborer I. The position performs maintenance to City streets and alleys and operates a variety of equipment. Full Job Description can be obtained at the City Office. Must possess a high school degree or it’s equivalent and a valid KS Driver’s License. CDL required within six months of employment. City provides a starting wage of $13.00 an hour, or more depending on qualifications. Very good benefit package, including vacation, sick leave, retirement program and more. Applications may be picked up at the City Office at 204 West 11th Street or at www.cityofgoodland.org. Position open until filled. EOE.